Fiat India has made an unheard of request to their customers. The company has recently launched an upgraded version of their previously launched models, namely the Linea and the Grande Punto. Fiat has decided to give these models a revamped look to improve the performance. The biggest or the most noticeable upgrade is the change in ground clearance. The automakers have decided that the previous clearance level for both the models had been quite a few millimeters lower than what would be functionally appropriate. The company wanted to give the cars a very low center of gravity, which gives that smooth ride even during extremely sharp fast bends. But with the rugged Indian roads, generally the chances of running into such steep curves are few and far between. Also, this causes quite a bit of problems in hilly regions, given those sudden bumps on the road (that the tyres might manage to swerve) may hit the underbelly of the car, causing critical damage to the comparatively unprotected part. Moreover, the car isn’t at its optimal best and hence needed a revision of its engineering. There are other changes that are administered to the design that you might as well enjoy while you go and get your ground clearance altered. 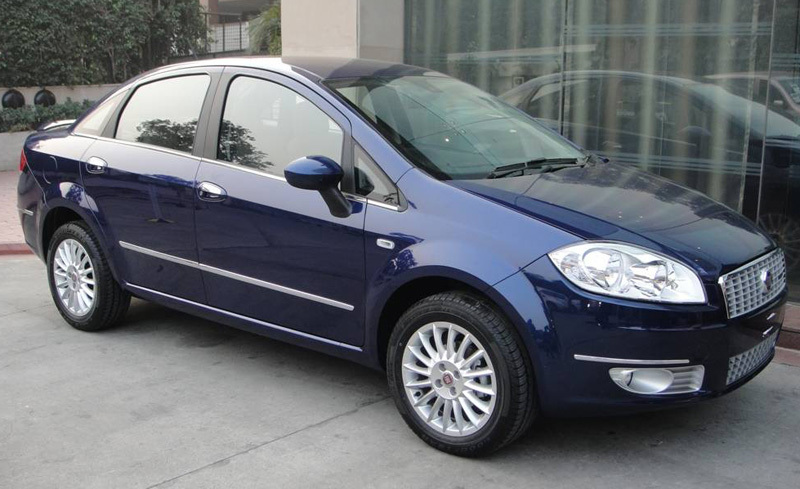 The 1.4 liter and the 1.3 liter engine models of the new Linea and Punto have a ground clearance of 185mm, while the 1.2 liter engine versions have a 195mm ground clearance. Hence the older models are going to be modified to meet the same ground clearance levels. For getting these changes done, i.e. ; if you own a Fiat Linea or a Fiat Grande Punto, you need to give up your car for some time and shell out around ten thousand. For the Fiat Linea and the Grande Punto Diesel version, the company is charging Rs.10,899.60 and for the Grande Punto’s petrol variant it’s charging around Rs.11,900. With these changes, perhaps the two models from now on will be a more viable option than earlier.